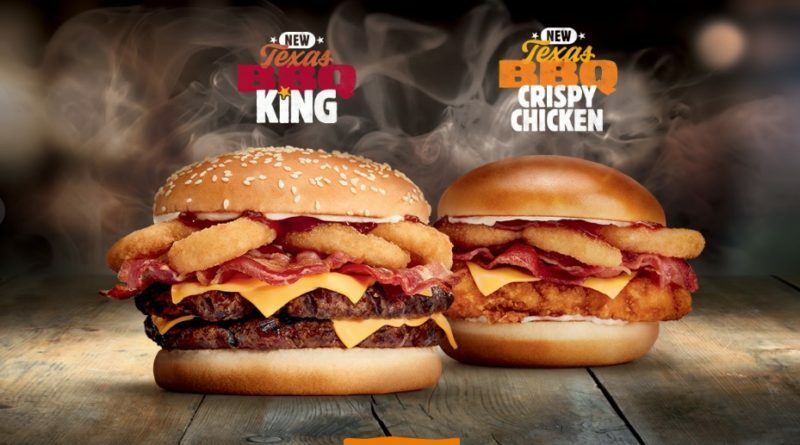 Burger King UK have released two new burgers – the Texas BBQ King and Texas BBQ Crispy Chicken Sandwich. 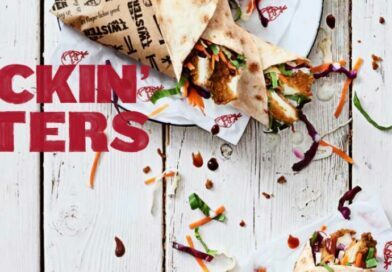 Hot off the heels of the new Crispy Chicken (our review here), BK have already started using this with existing ingredients to create a new LTO. The Texas BBQ KING features two flame-grilled beef patties totaling more than ½ lb.of beef, topped with smoked bacon, our signature crispy onion rings, tangy BBQ sauce, melted cheese and creamy mayonnaise all on our sesame seed bun. 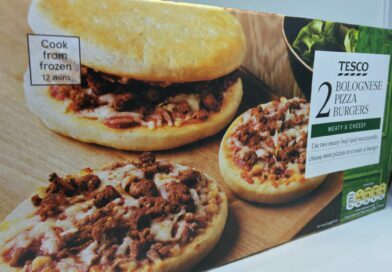 We’ve left the typo in on purpose. 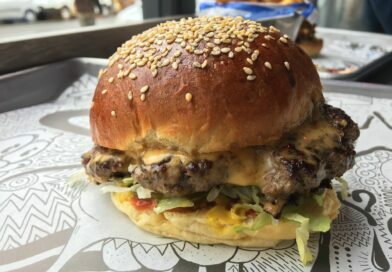 The burger clocks in at an eye-watering 1,130 calories. The Texas BBQ Crispy Chicken Sandwich is made with our breaded 100% white meat seasoned chicken filet, topped with smoked bacon, crispy onion rings, tangy BBQ sauce, creamy mayonnaise and melted cheese all on our brioche bun. 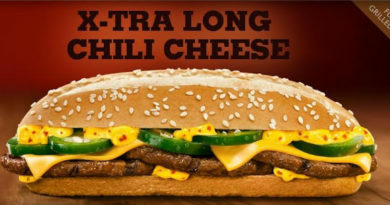 This is a more respectable 830 calories. 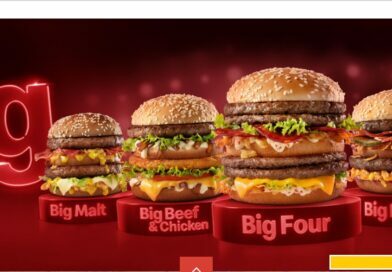 Promos seem to be coming thick and fast from BK since their change of management in this country. 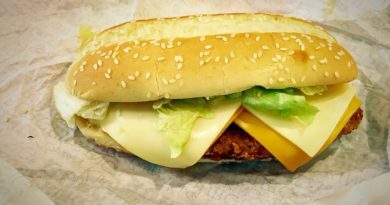 Will you be trying either of the very latest burgers from Burger King? And which of the two are you most likely to sample while they are available? 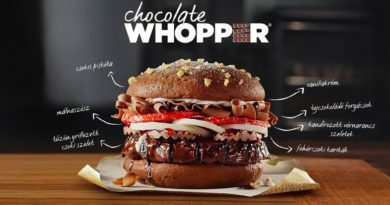 Also, does this latest promotion mean we won’t see a Winter Whopperland-type Festive menu from Burger King in 2018?